Labor Day doesn’t mean “back to school” now that most schools seem to start in August, but it’s a really good time to throw a great, end of summer barbecue and enjoy spending time outside before the weather turns cold. Of course, now that it’s the end of the summer, you might be a little sick of a traditional BBQ with burgers, hot dogs, and even ribs, so we’ve got some great tips to add some color (and some spice) to your Labor Day Barbecue! First up, Set a colorful table! There’s something about bright, lively colors that make even the most casual get-together feel like a party. Use flowers, colorful foods, and vibrant placemats. For a recent party, we used 24 of our Laguna placemats as a tablecloth, and it looked great! As a labor day gift for you, we’re offering 25% off of our ENTIRE Laguna line to our retail customers from now until Tuesday, Sep 3. Just enter LABORDAY at checkout! Laguna mats look great indoors and out, so they’re perfect for entertaining as the seasons change. Second, make (or buy) snacks that you can set up ahead of time, like our chips, salsa and guacamole in the picture above. They’re easy to set out an hour ahead of time, and they’ll help keep your guests snacking and mingling if you need a little extra setup time. 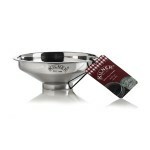 We love making and serving guacamole in our Mason Cash Mortar and Pestles. They’re perfect for crushing garlic, cilantro and spices and mashing avocado. Plus, they’re made of heavy stoneware that looks great on the table. Here’s our signature guacamole recipe. It’s simple to make, and whether you’re grilling hot dogs and burgers or carne asada for tacos, it works. If you like more heat, add a chopped up jalapeno. If you like more tang, add more lime. 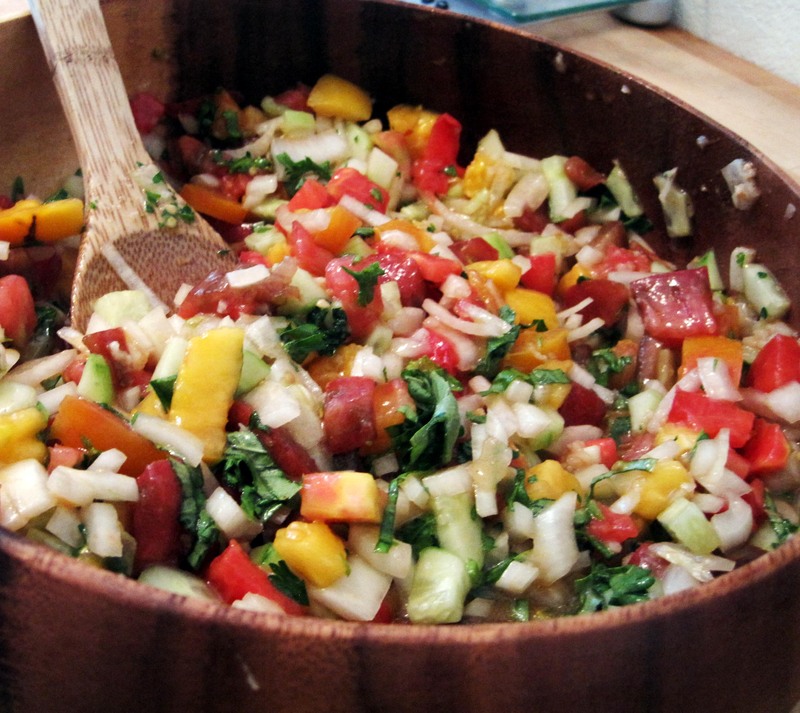 This serves 4-6 people and is the perfect amount for the large Mason Cash Mortar and Pestle. 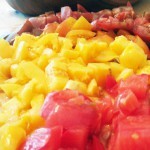 If you want to make a bigger batch, the recipe doubles or even triples really nicely. Just grind up the cumin, mince the garlic and cilantro, and make the whole thing in an Acaciaware bowl. Just like when you serve in the mortar and pestle, there’s one less dish to clean, since your serving dish is also your prep bowl. Since you’re already making guacamole, I suggest you grill up some simple carne asada to go along with it. This flavorful dish is easy to prepare and uses a cheaper cut of steak, so even if you’re cooking for a crowd, you won’t break the bank. Do most of the prep the night before to save time! 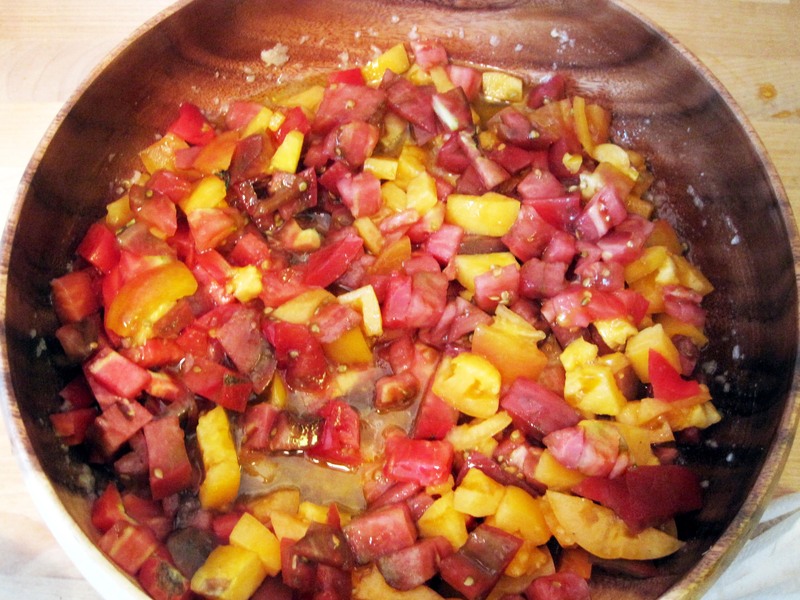 In a blender or food processor, combine all the ingredients except the flank steak. Blend until smooth. Put flank steak in a gallon-sized sip top bag. Pour marinade in on top of steak and seal bag, pressing as much of the air out as possible. Allow steak to marinate for at least 1 hour, or as long as 12 hours. Heat your grill to medium high. If using a gas grill, allow at least 10 minutes for the whole grill to heat. 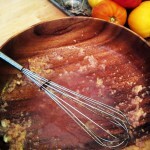 Brush grate with vegetable oil carefully to avoid flare ups. Grill the steak for 7-10 minutes on each side, turning once for a medium-rare steak. Slice across the grain, on the diagonal, into thin slices. Arrange on an Acaciaware plate. 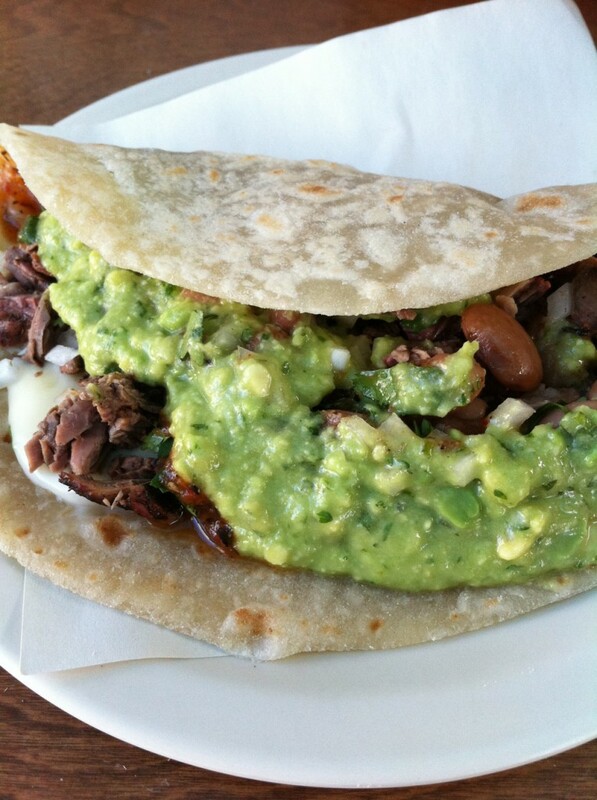 We suggest serving the carne asada with fresh tortillas, grilled corn, our amazing guacamole, and some cheese and salsa. If you want, you can put together a whole condiment bar using small acacia bowls and condiment serving sets. Consider filling bowls with pico de gallo, shredded cheese, pickled jalapenos, grilled peppers, grilled onions, and sour cream. From all of us here at Pacific Merchants, have a really happy Labor Day. We hope you enjoy these last few weeks of summer and get to have a fun, relaxing 3-day weekend. And remember to enter LABORDAY at checkout to get 25% those colorful Laguna mats from now until September 3! You deserve a treat. With so many schools back in session already, and so many more starting in just over a week, we think it’s the perfect time to talk about packing lunches. Whether you’re packing school lunches for children or brown-bagging it yourself, we’ve got some great lunch-packing tips that will even make eating at your desk like a special occasion. 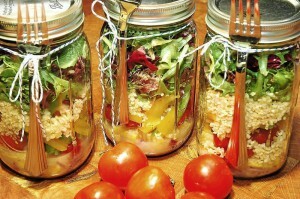 We’ll help make lunchtime exciting again with brown bag lunch ideas to wow you! First, when possible, ditch the plastic. We get it, life happens, sometimes a Ziploc bag or a plastic food container is the easiest tool for the job, but with a little planning, it’s easy to ditch the plastic for more environmentally friendly, green lunch containers. 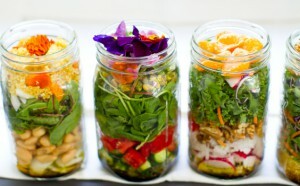 Wrap sandwiches in compostable paper and pack everything from soups to salad to cupcakes in jars! 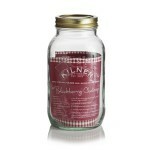 Glass Kilner jars are better for the environment. They’re re-usable so they don’t take up landfill space. They’re BPA free so they’ll help keep you and your loved ones healthy. And they’re airtight, so food stays fresh and doesn’t leak. 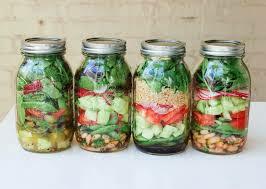 Some of our favorite meal-in jars are salads and soups. 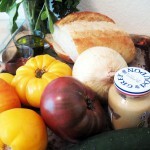 For the salad, I use 1-liter Kilner preserve jars or 1-liter clip top jars. I put the dressing in the very bottom of the salad, then the protein, then the heavy vegetables. I fill the rest of the jar with the greens, so they don’t get crushed. When it’s lunch time, I either shake up the jar and eat the salad right out of it, or I empty it onto a plate. One of the nicest things about salads in jars is that I can make up to 5-days’ worth at a time, stash them in my fridge, and they stay fresh and crisp. No soggy salads here, and in the morning it’s SO easy to grab a healthy, filling lunch. 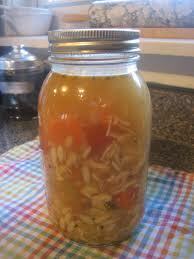 I love doing soups in preserve jars (I find that the 0.5 liter jars are the perfect serving size.) When I make big batches of soup I put the leftovers in jars, put what I think I’ll eat in the refrigerator and freeze the rest. When it’s lunch time, I take the lid off, microwave the soup right in the jar, and eat it that way. It’s a great, no-mess way to have a filling, comforting lunch. Second, always include a treat. 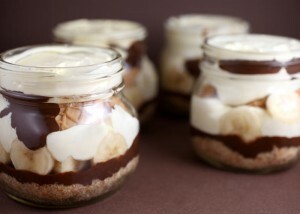 It doesn’t have to be unhealthy, just think about what will make your lunch (or your kids’ lunch) into a special treat. I often find myself reaching for 0.35 liter Kilner clip top jars and filling them with fruit salad, pudding, a few cookies, and even a cupcake. The jars keep baked goods from getting crushed, keep fruit salads from leaking, and are perfect for making and storing pudding. 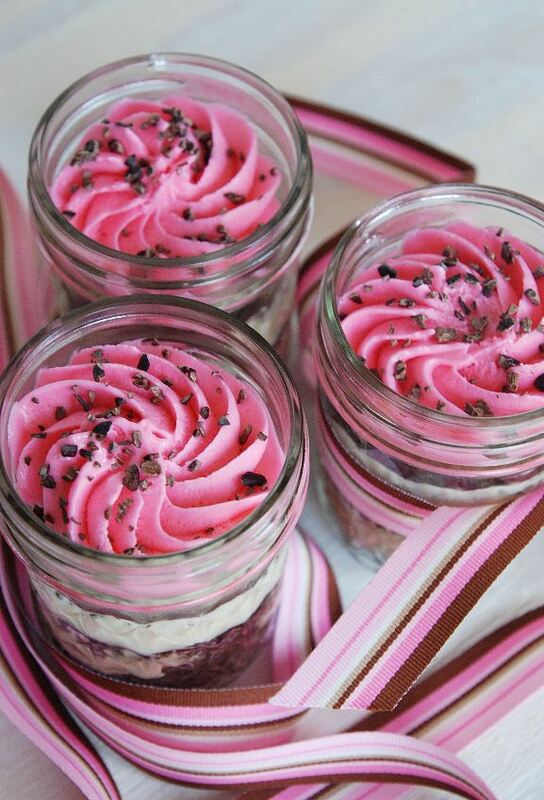 You could also use the 0.25 liter preserve jars for treats. They’re a little roomier so they’re great for pretzels, chips, and popcorn. 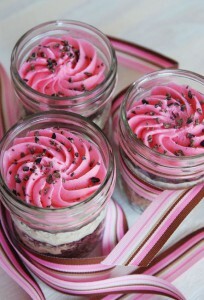 I’ve even seen people bake pies and cakes right in the jars. What a treat! Third, find the right kind of lunchbox. Jars seal pretty well, but they are made of glass, and even though the Kilner jars are sturdy, we want to make sure your lunch is safe. I love these bags from A Tiny Forest – They’re perfectly designed to keep jars safe, upright and well cushioned, and they even come with a re-usable cloth napkin! They come in a variety of colors and patterns from sophisticated florals to kid-friendly ninjas, so no matter who you’re packing a lunch for, they’re sure to find something they love. Plus, the bags have room on top of the jars for extra delicious treats. 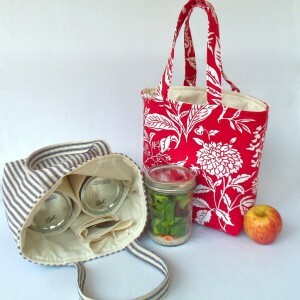 Her pint jar bags fit our 0.5 liter jars and her quart jar bags fit our 1.0 liter jars! This great one-woman business will also do custom bags to order. Fourth, know how the lunch is going to be stored and if it can be re-heated. Will there be a refrigerator available, or will you/your child need an ice pack to keep that lunch fresh? Can your child microwave their soup at school, or will they be stuck eating it cold? 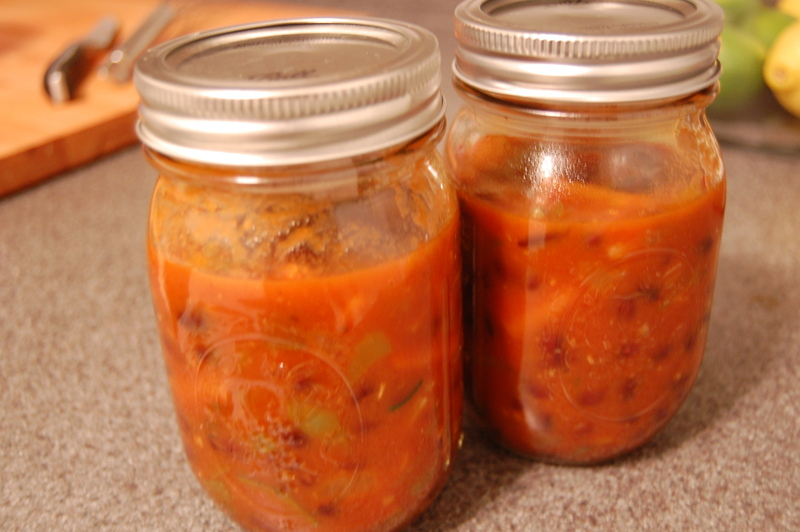 Both hot and cold foods work really well in jars – Just know your game plan. Fifth, don’t forget a beverage. As a bonus, your drink can double as an ice pack. 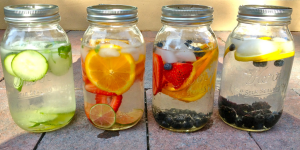 I often freeze tea, water or juice right in a jar, wrap it in a napkin, and throw it into my lunch bag. It’s melted by lunchtime, but it keeps everything else cold! Last, but not least, remember a fork and spoon, but if you’re packing for a child, pre-cut everything and skip the knife. Since schools have become more security-focused, bringing even a butter knife to school has become a no-no. So make sure that everything is bite sized, fork sized, or able to be eaten with a spoon. We hope that these tips help you get an A in lunch 101. Have a wonderful start to the 2013-2014 school year, everyone! 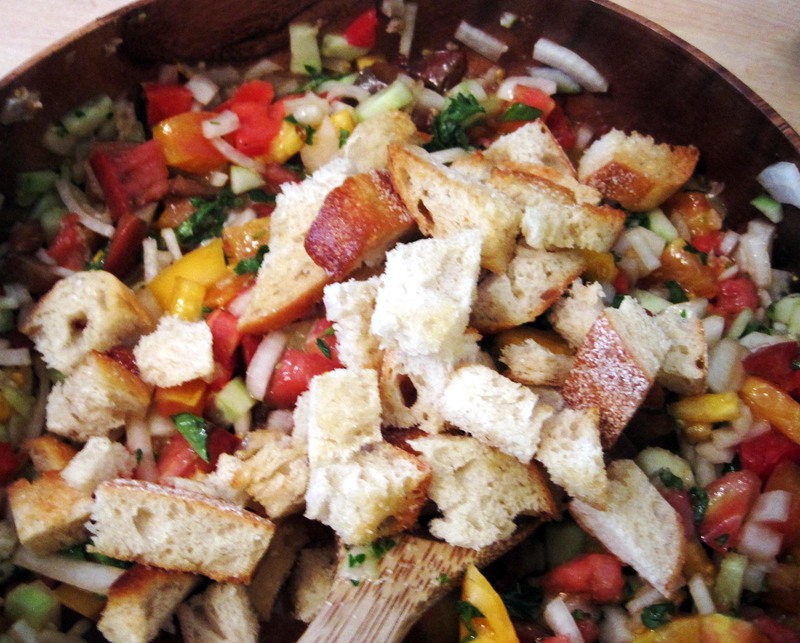 Last week we showed off beautiful raw tomatoes with our heirloom tomato panzanella salad. 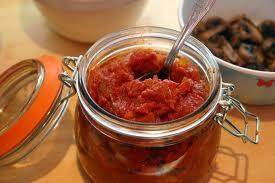 This week, we’re switching it up and teaching you how to make and preserve a great tomato sauce. That way, you’ll get to enjoy the flavor of sun-ripened tomatoes all year! 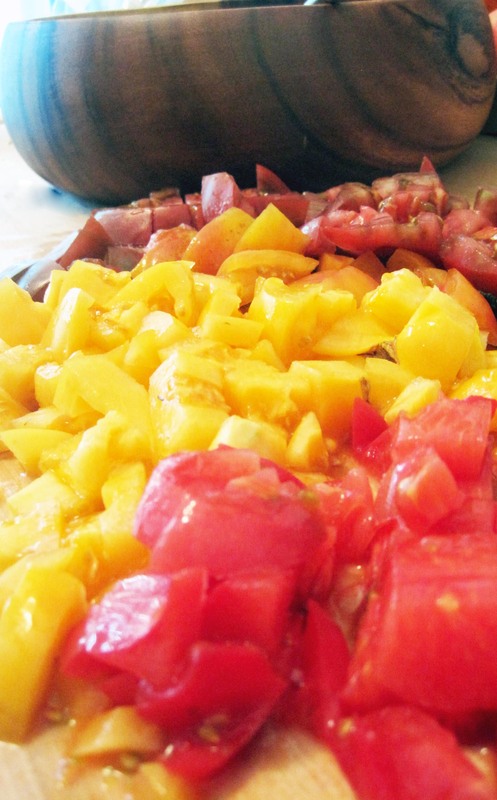 As a bonus, this recipe works best with extremely ripe and even slightly overripe tomatoes, and they don’t have to be pretty. 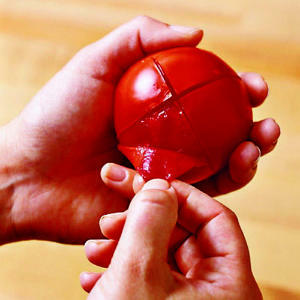 If you have any bruised, slightly squishy, cracked tomatoes, this is the perfect way to use them up! 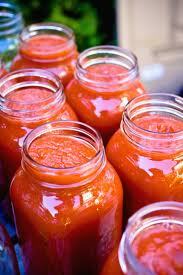 This recipe makes 4 pints of tomato sauce and is pretty easy to multiply if you have a huge surplus of tomatoes. 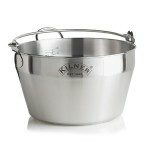 Just make sure you’re using a big enough pot, like one of our Kilner Jam Pans, and you’ll have perfectly thick, flavorful tomato sauce. You’ll never want to go back to store bought stuff again! As with any canning project, make sure you have all your ingredients and all your equipment ready before you start! * It is important to use bottled lemon juice instead of fresh since bottled lemon juice has a consistent level of acidity and will ensure the shelf life of your tomato sauce. You’ll notice that this is a pretty simple sauce. If you want to spice it up, feel free to add sautéed garlic, fresh basil, chili flakes, sautéed mushrooms, or anything you like in your tomato sauce. We keep ours simple because we don’t know what we’ll be pairing it with 6 months from now! Let’s get down to business and make some sauce! 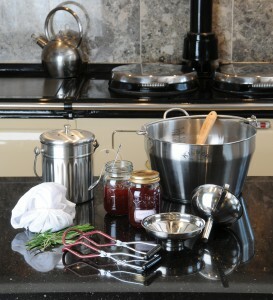 Wash all jars and lids thoroughly with soap and water and rinse well. 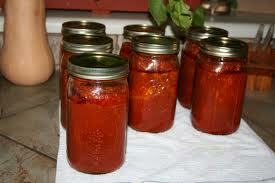 Fill your large pot with enough water to cover the jars by at least 1 inch. 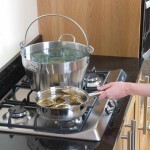 Place one of the towels at the bottom of the pot and bring to a simmer. 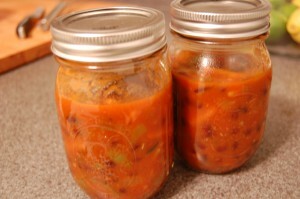 Using a pair of canning tongs, lower the jars in gently, tilting them to fill with the hot water. Add the screw-bands to the pot as well, but keep the flat metal seals out of the water for now, but have them handy. Meanwhile, rinse the tomatoes and pat them dry. Option 1: Cut a small “x” in the bottom of each tomato and blanch them for about 30 seconds in boiling water, remove to an ice bath, slip off their skins, cut in half and squeeze out the seeds. 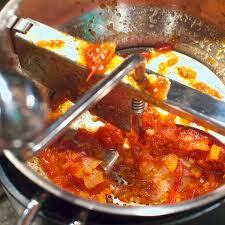 Option 2: Roughly chop the tomatoes and run them through a food mill. 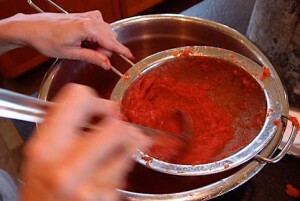 Option 3: Whirl the tomatoes quickly in a blender and push the puree through a fine sieve. Personally, I find option 2 to be the easiest, but not everyone has a food mill. 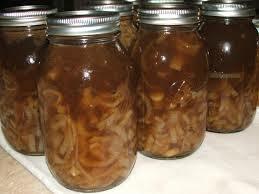 If you’re going to become serious about canning, it’s a tool you should have. But any of the 3 options will do the trick! 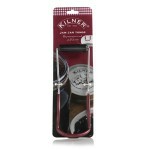 Once you’ve got your tomatoes peeled, coarsely chop them (if they’re not already broken up) and add them to your Kilner jam pan. 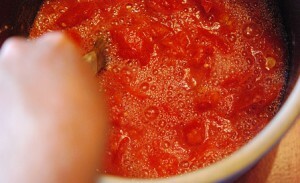 Place the pan over medium-high heat and stir/crush your tomatoes to break them up further and keep them from burning. 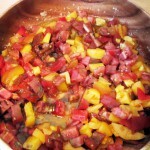 Bring the tomatoes to a boil, then reduce heat and keep at a low boil. Reduce to the desired thickness, by a third for a thin sauce, or by half for a thick sauce. 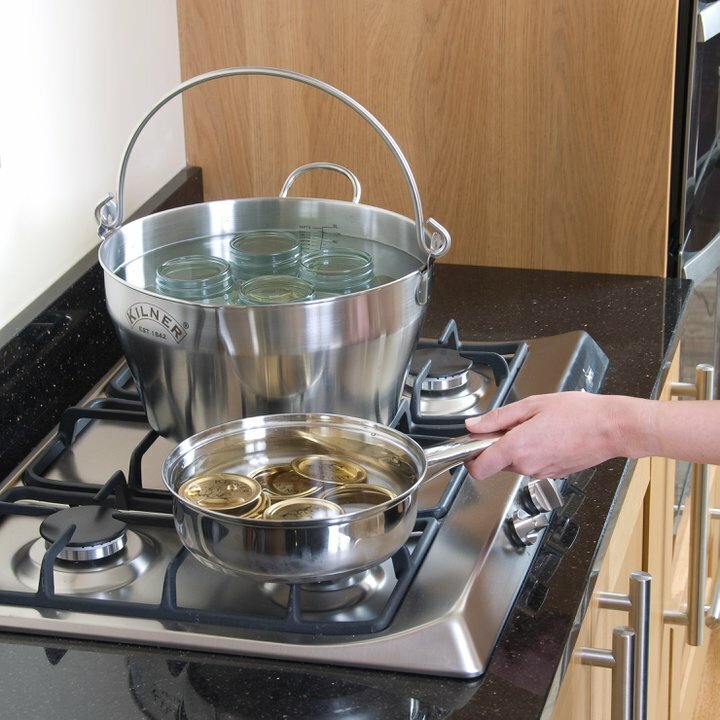 With your tongs, carefully remove the jars from the pot, tipping water out and setting jars upright on a clean dry surface. Add the seals to the pot, continue to simmer. 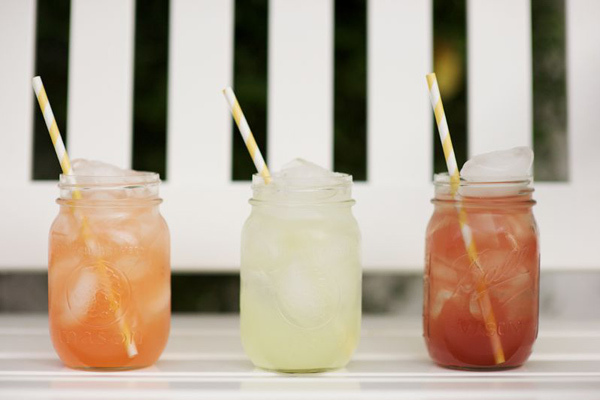 Using your funnel, carefully fill your jars, leaving a half inch of headspace at the top of each jar. Run a chopstick around the sides of each jar to help release any trapped air, then wipe each jar’s rims clean with a dish towel. 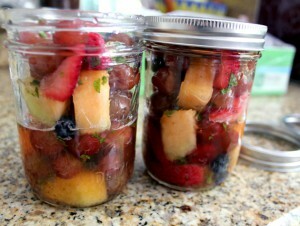 Using a magnet or a pair of kitchen tongs, remove the jar seals from the water and place them on the mouths of the jars. Place the screw bands on the jars and screw on the rings, then loosen each ring a quarter turn to allow steam to escape from the jars. Empty the stock pot you used to sanitize your jars and fill it with water again, keeping the dish towel in the bottom of the pot. With jam jar tongs, place each jar carefully into the water and check that jars are submerged by at least an inch. Bring water to a boil and let boil for at least 20 minutes, checking periodically to see that the jars are covered with water. After 20 minutes has passed (longer if at high altitude.) remove jars from water, and set on a cooling rack. Leave undisturbed for 12 hours, then test seals. 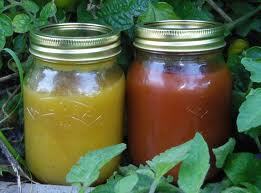 If any of the jars have not sealed, reprocess using method above or refrigerate and use immediately! 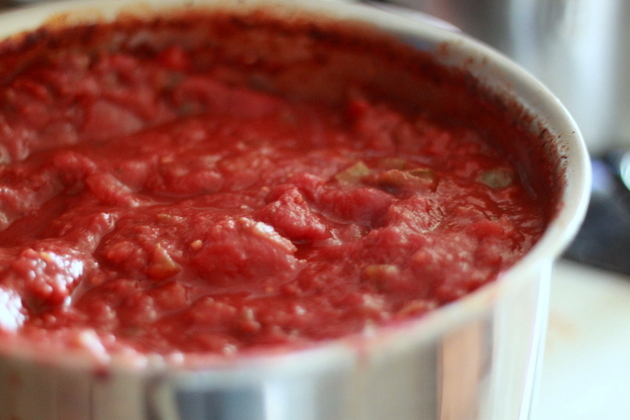 We hope that this simple tomato sauce recipe helps you enjoy the rest of the year. If you need more help figuring out how to choose great tomatoes, click back to last week’s blog post for advice! 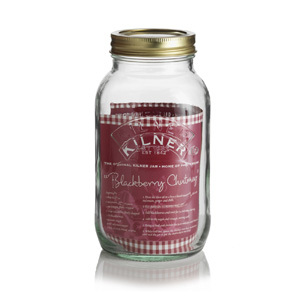 From all of us at Kilner and Pacific Merchants, happy canning! Tomatoes are no longer just a salad bar garnish. With such a huge variety of heirloom tomatoes available, especially in August and September, tomatoes are quickly on their way to becoming the star of the dinner table. Magazines from Food and Wine to Martha Stewart Living have featured tomatoes on their August covers, and we’re taking inspiration both from them and from the colorful heirloom tomatoes at our local farmer’s market. For the next two weeks, we’ll be showing off beautiful, versatile tomatoes. 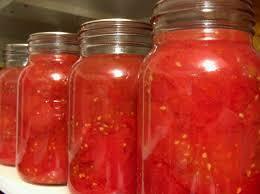 Here are some quick tips to buying and storing tomatoes. It’s the height of the season, so making sure to pick the right ones and keep them fresh and flavorful is key. Look for tomatoes that are heavy for their size, have smooth skin, slight give when touched, and are noticeably fragrant. If you can’t smell them, they’re not ripe. If you see a tomato that looks unusually puffy or bloated, don’t get it. That’s probably a waterlogged tomato. 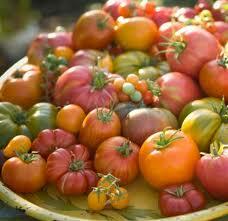 Remember that tomatoes, especially heirloom tomatoes, come in a rainbow of colors. Green heirloom tomatoes can be perfectly ripe, as long as they’re heavy for their size and smell fragrant. If you’re not sure, ask the farmer’s market vendor or your store’s produce person to help you chose. They want to keep your business so they’ll make sure you get the best fruit possible. Never store tomatoes in the refrigerator. I get it, they last longer, but refrigerating tomatoes makes them mealy. 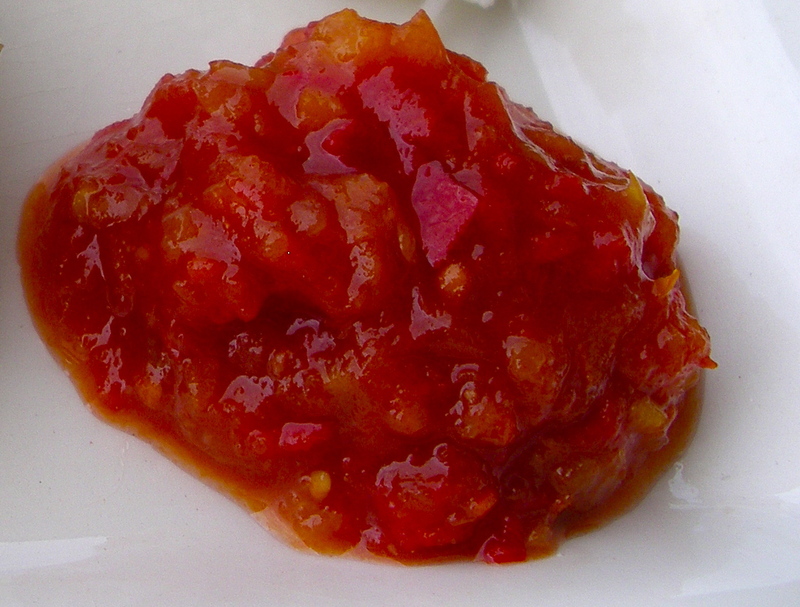 The cold also shuts down the compounds in the fruit that make tomatoes so flavorful. Keep tomatoes out of direct sunlight. 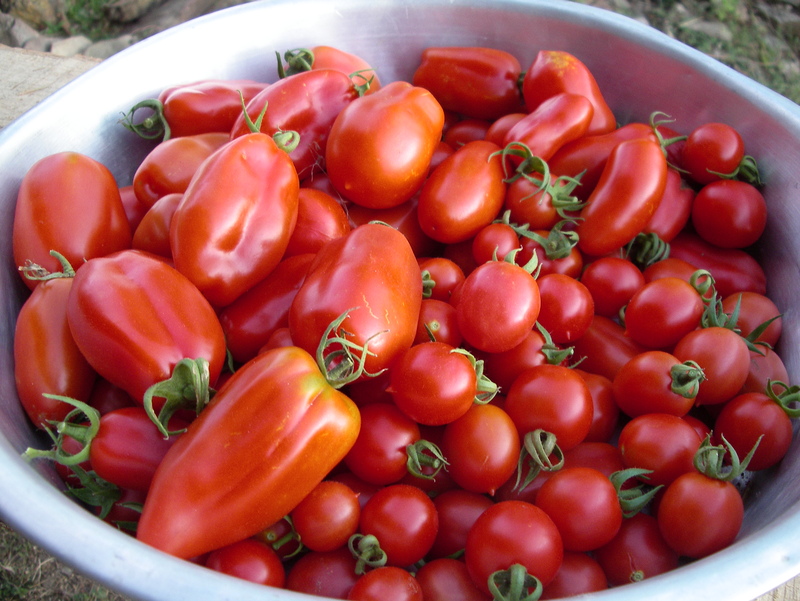 Tomatoes will ripen off the vine, especially in sunlight, and leaving them in the sun can overheat them and cause them to ripen unevenly. Don’t pile tomatoes on top of each other when storing them. This could cause them to bruise. Instead, spread them out on a tray or a countertop. 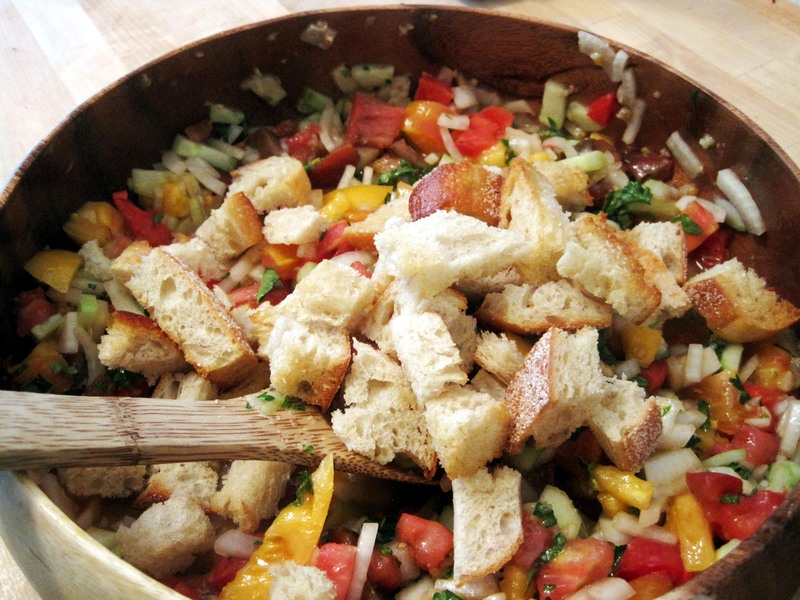 We’ve noticed that our baguette trays are the perfect size and shape for lining up tomatoes! We’re starting off with a beautiful raw presentation in one of our Acaciaware salad bowls. 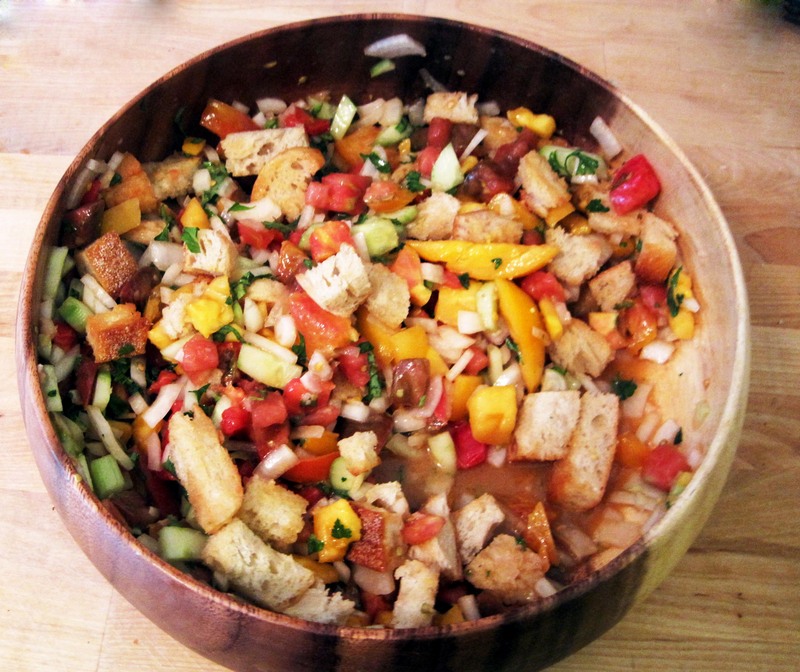 This rustic Panzanella Heirloom Tomato salad is hearty enough to be a meal all on its own. 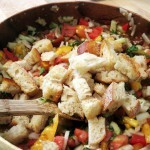 It also makes a wonderful accompaniment to grilled chicken and steak. 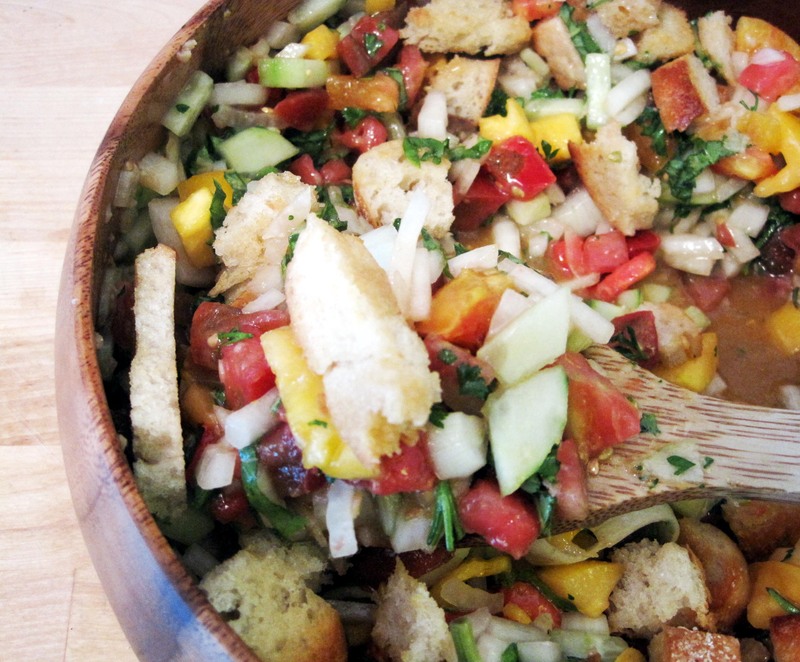 The keys to making this salad perfect are picking great tomatoes, leaving the bread out until the very end, and using a big enough bowl that all the tomatoes, bread, and cucumbers end up doused in that rich, garlicky dressing. We suggest our 12” Calabash bowl. 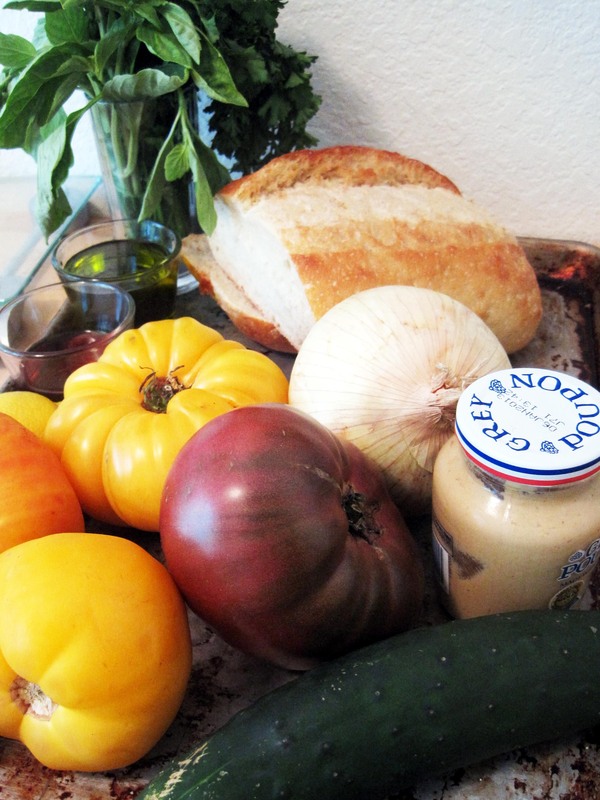 The rich tones of the acacia wood set off the colorful tomatoes nicely, and the bowl doesn’t absorb odors from the rich, garlic-infused dressing. 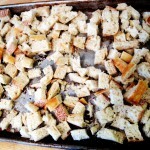 4 cups cubed French bread. 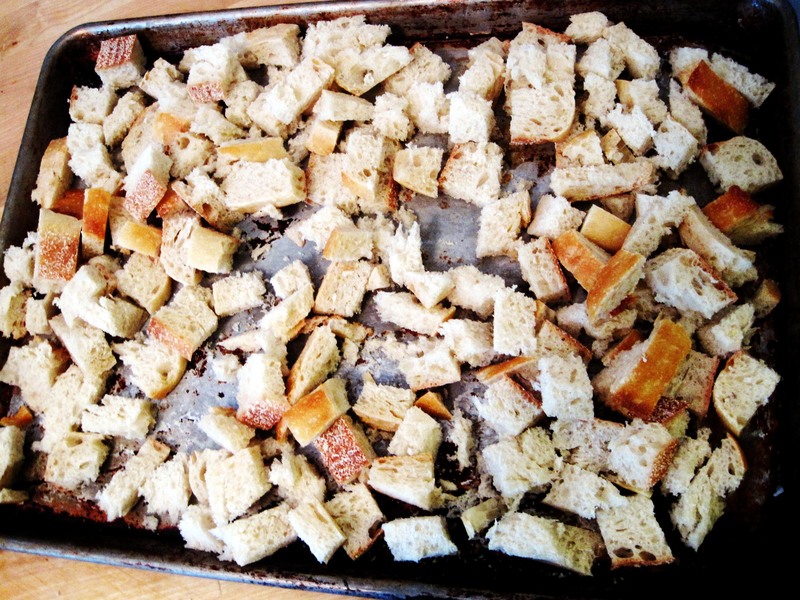 Toss cubed bread in melted butter, salt and pepper. Spread in a single row on baking sheet and bake 10-15 minutes until golden brown. Remove and set aside. 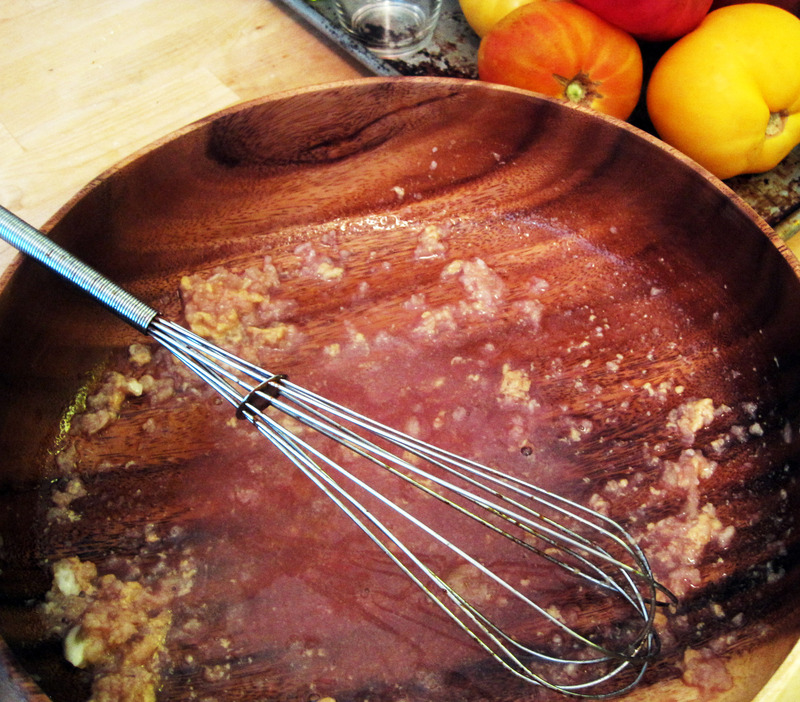 In the bottom of your salad bowl, whisk the Dijon, salt, pepper, chili flakes and garlic together. 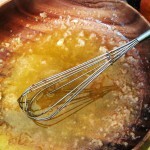 Add the vinegar and whisk until well combined. 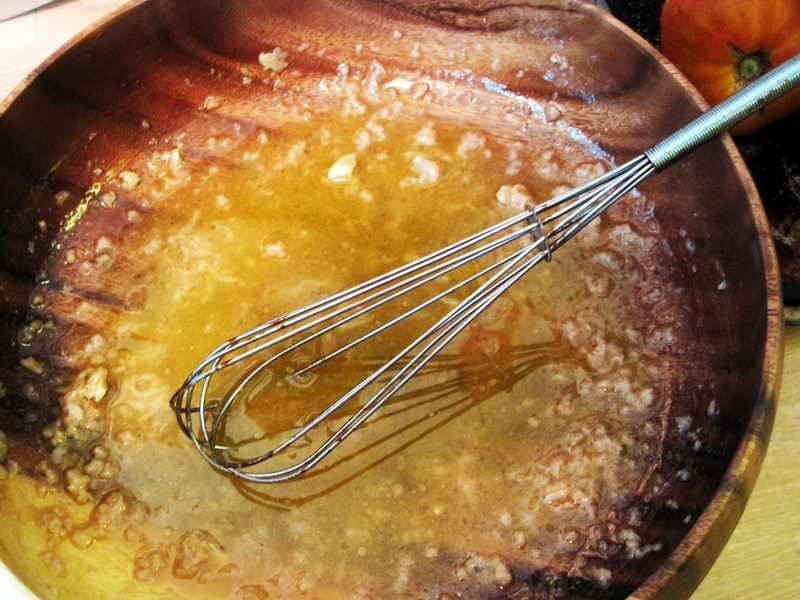 Slowly drizzle the olive oil into the mixture, whisking well to combine. Prepare vegetables. 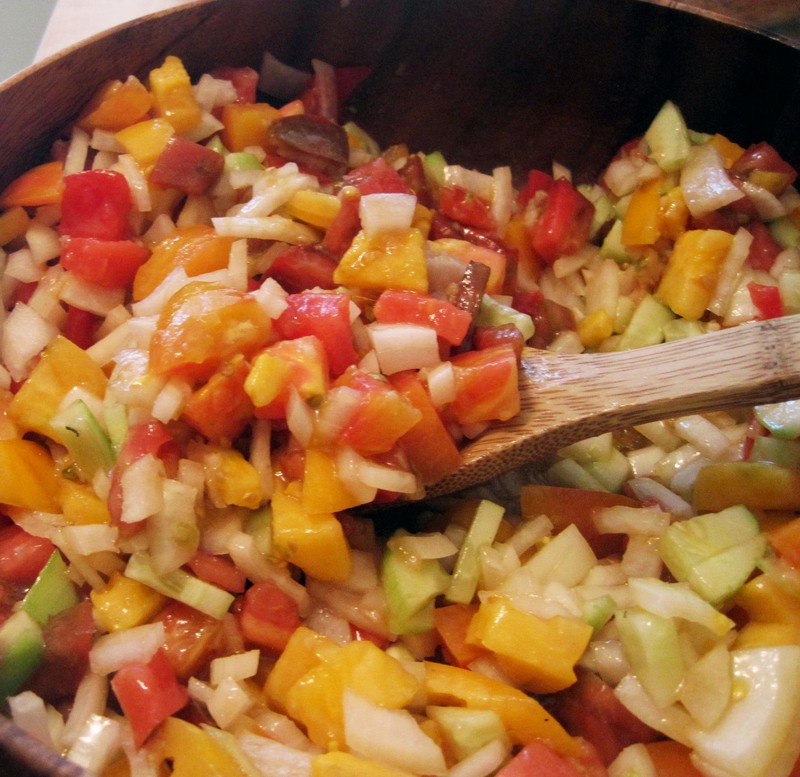 Add tomatoes to dressing first, toss well to combine. 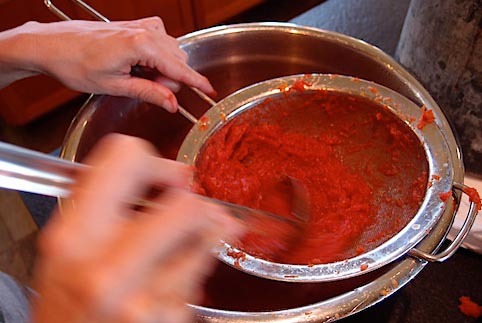 Let tomato and dressing mixture sit for 5 minutes in order to draw the juice from the tomatoes. 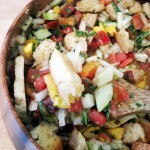 Add other vegetables and herbs, toss to combine. At this point, the salad can be kept in the refrigerator for up to 2 days. 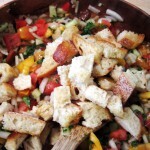 5 minutes before serving, toss the bread cubes into the salad and serve. 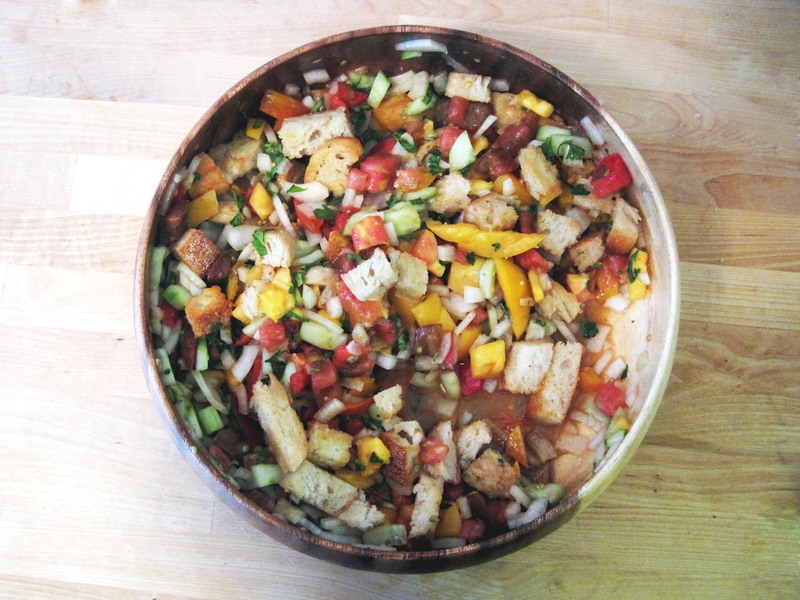 We hope that this beautiful panzanella salad inspires you to get out there and experiment with the best that the season has to offer. Make sure to check back next week when we put our Kilner jars to work and teach you how to make and preserve the perfect tomato sauce you’ll be sure to enjoy all year long! Nothing says “summer” like biting into a big, juicy slice of watermelon. Since tomorrow, August 3, is National Watermelon Day, we think it’s the perfect time to introduce you to a more grown up watermelon recipe. It’s not that we have anything against biting into a big, juicy slice of melon, but should your occasion call for something a little less messy, here’s a great, summery alternative! 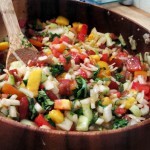 This colorful savory watermelon salad is most beautiful when served in our round Calabash serving set. The shape of the bowl mimics the shape of the watermelon in a cute way and the rich brown tone of the Acacia hardwood offsets the reds, pinks and greens in this salad beautifully! 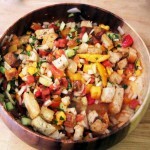 This dish serves a crowd, so it’s great to bring to a picnic or party. If you’re making an extra-large batch and need a bigger bowl, try one of our larger Mason Cash Mixing bowls! Add in cucumbers, red onion, mint, and feta. Stir to combine well. Toss the watermelon in with everything else. 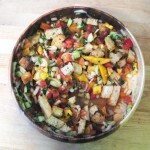 One of my favorite things about this salad is how easy it is to change up. Sometimes I add tomatoes, sometimes I leave out the feta, and sometimes I use basil instead of mint. No matter what variation I use, it tastes great! This salad is as delicious as it is easy, and it’s a great way to turn a classic taste of summer into something a little more sophisticated! What’s your favorite way to eat watermelon?